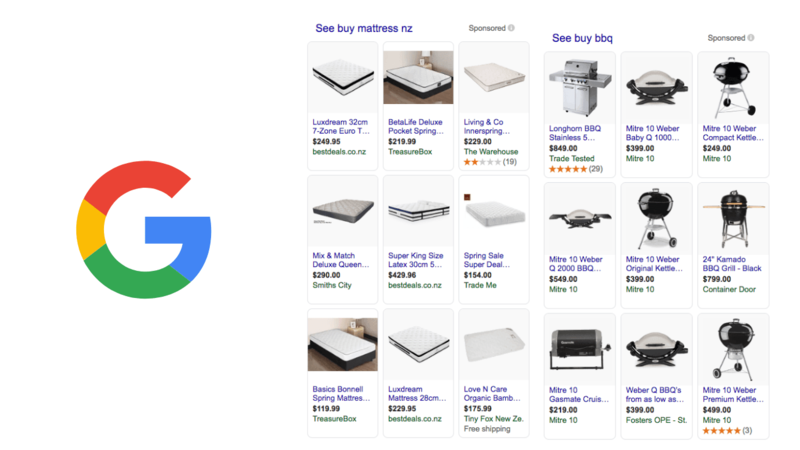 Formerly known as Product Listing Ads, Google Shopping is a service provided by Google, where it allows customers to search for, view and compare products. Products are displayed when a customer uses Google to search for a product. They can appear in the main search engine results page or under the shopping tab. The setup and management of Google Shopping Ads is quite different from setting up traditional text ads. Firstly, you need to create a Google Merchant account, as this where you upload and manage your product lists, and then you link your Merchant account with your Google Account and set-up the Google Shopping campaign from there. Unlike text ads, where you create campaigns, ad groups and ads that are focused around keywords that you choose; with Google Shopping, Google determines when your product listing ads show up. They consider your feed, your site, and your bids to determine what search queries trigger your ads. Due to the algorithm it uses to find your products, the success heavily relies on your SEO efforts. 17% higher revenue-per-click on desktops. Google Shopping ads are also excellent for grabbing the search users attention. The use of product images at the top of the search engine results work as an anchor and draws the users interest. I guess it’s no surprise that imagery attracts more than text. To be successful at Google Shopping, there are crucial steps and configuration processes that need to happen in order to reap the benefits. The feed creation and optimisation is essential, as this covers a lot of ground including product data, product images, reviews and price. Getting the bidding strategy right. Like other types of advertising, there are various ways to bid and spending your budget correctly and efficiently is key in order to make the most out of your campaigns. Done correctly, with Google Shop you can double the return on ad spend. Lastly monitoring, optimisation and management is key in order to keep improving your Google Shopping performance. You’ve probably noticed that each day, more companies and businesses get involved with Google Advertising and so ensuring you stay ahead of the game is what will make your campaign great. Google Shopping is a must have for every eCommerce business, as it provides the opportunity to feature your products in front of potential customers as soon as they search. Strategus Digital have Search Engine Specialists that can help your business create a successful Google Shopping campaign. We already have a number of successful accounts for a range of eCommerce clients, so contact our team today to discuss how we can implement Google Shopping to your digital strategy. Check out our blog and get expert insights.